Nova Vision Center started out as an expert provider of simple eye exams and corrective lenses, but we continue to grow and expand our available services to meet the needs of our loyal patients. Whether you are looking for a new contact lens prescription or you are worried about a troublesome vision symptom you have developed, we are happy to help you with a wide range of eye care services. 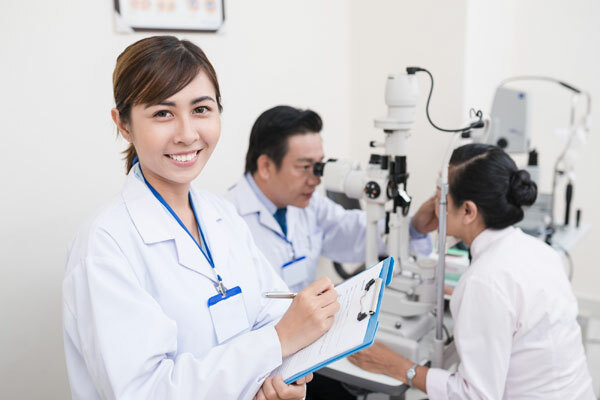 If you have noticed gradual changes in your vision or if you just want to stop by for your annual examination, don’t hesitate to schedule an appointment with Drs. Rinearson, Renner, Warren or Perry at your convenience. Regular eye exams are essential for maintaining normal vision and ocular health. It is also important to regularly upgrade your contact lens or eyeglasses prescriptions in order to maintain optimal vision. Parents may wonder if it is necessary to bring their young children in for an examination, but many children experience vision problems at a very young age and are actually misdiagnosed with various learning disabilities. We can help detect vision problems early on so that your kids have the greatest chance of learning to their full potential. To schedule your eye care appointment, fill out our online form or give us a call at (703) 578-3600. We look forward to seeing you!